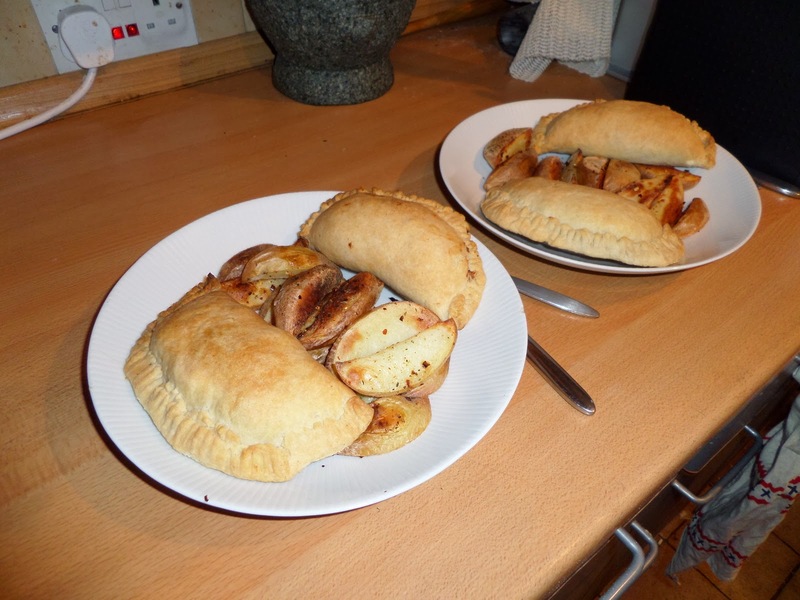 We’re doing a roast duck for our new year’s eve meal, and as they’re only two of us there’re going to be lots of leftovers, so I was planning to make leftover pasties to use them up. 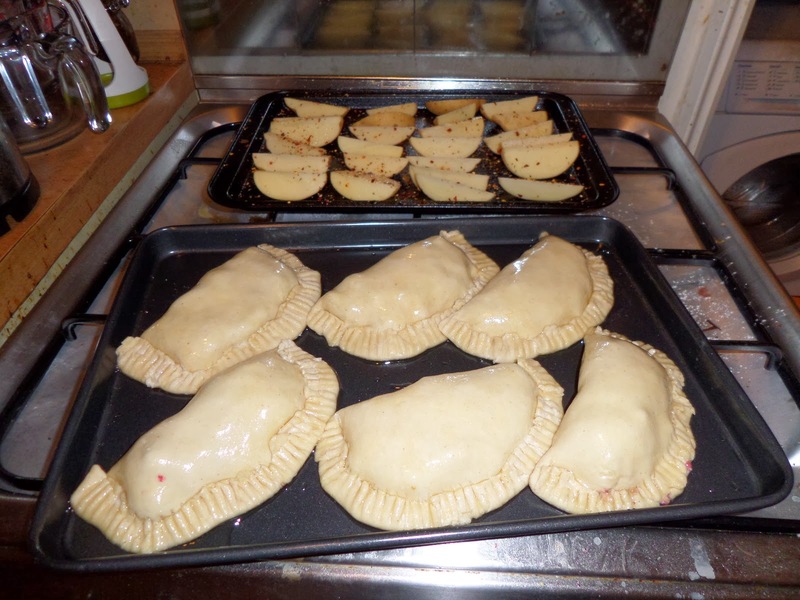 However recently a librarian at our local library suggested I look into Peruvian cooking, so I ordered a book on Peruvian cooking from the library and found a recipe for empanadas. 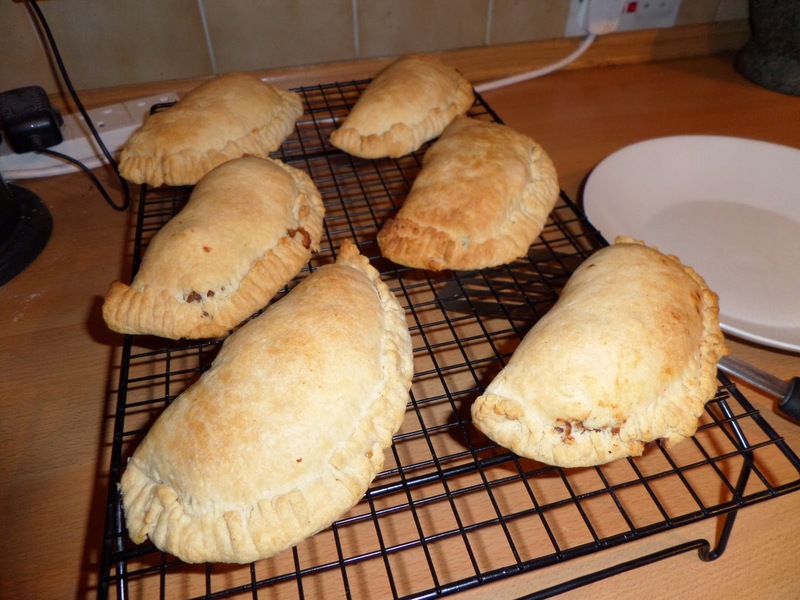 There are basically South American pasties so I thought I’d give them a go. Then this morning while I was on the exercise bike watching America’s Test Kitchen they happened to do an episode where they made empanadas! As their recipe (subscription required) uses masa harina and tequila I’m going to use theirs! Soph is running a 10k race tomorrow, and I’m cycling in to meet her at the finish, so I’m going to make the pastry ahead of time and chill it until I need it tomorrow. 3.5oz of flour gets whizzed in the food processor with the other dry ingredients, then the butter gets cut in, then the rest of the flour goes in. 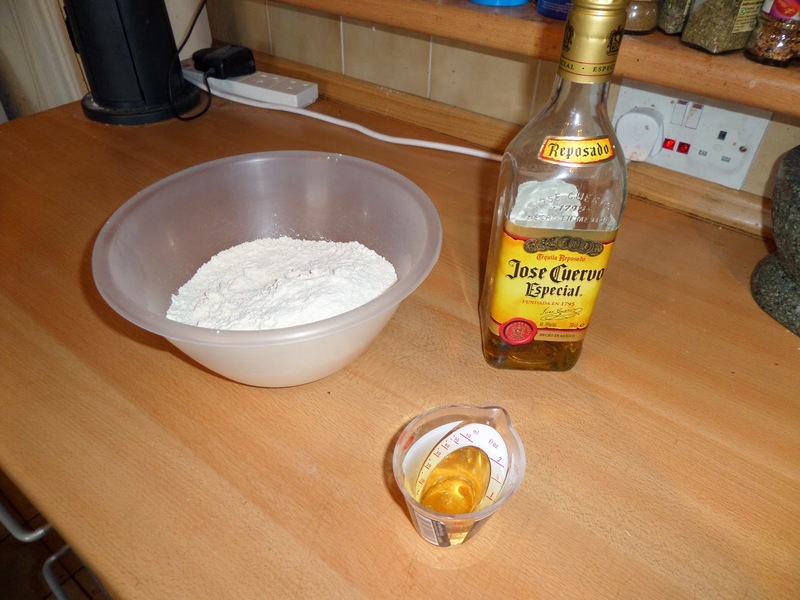 In a bowl the tequila and water is sprinkled over the top of the mix and kneaded in until a dough forms. Kneading may seem odd, especially with my warm hands, but with the tequila and masa harina reducing the amount of flour and water that can form gluten, plus the overnight chilling, this should be fine. 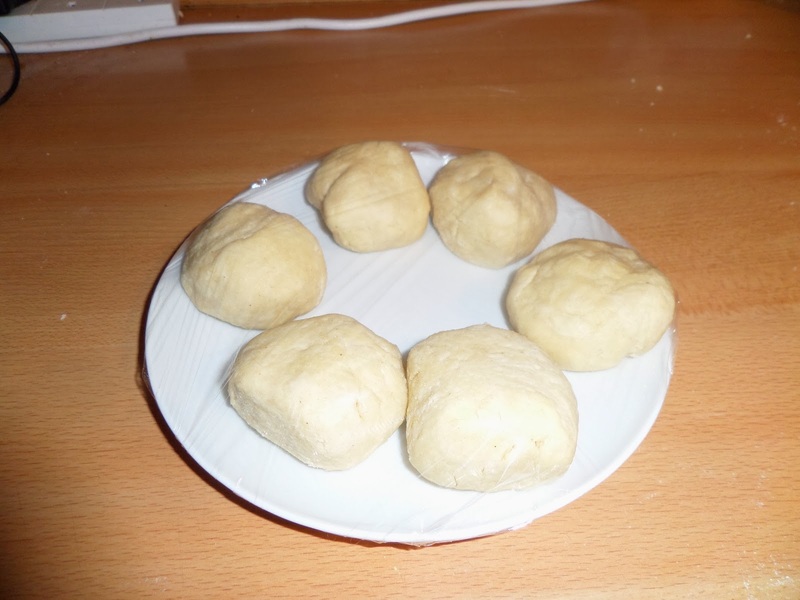 Before chilling I cut into 6 equal pieces (yes, I weighed them…) and make into balls and cover with cling film. The next day when I’m ready to cook I put the oven on 200c fan and put a rimmed baking sheet in the oven to heat up. 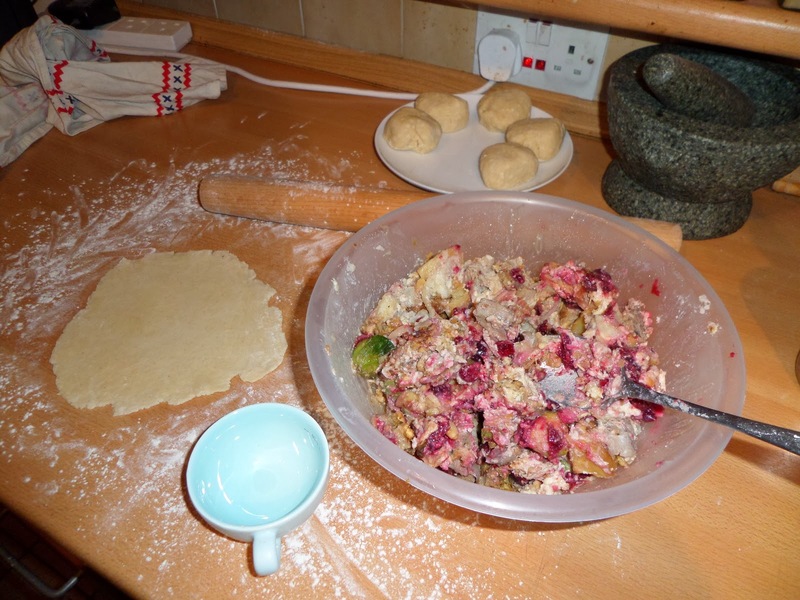 While the oven heats I roll out the pastry balls into 15cm circles (OK mine were far from circular…) and a third of a cup of various leftovers are added, and the pastry folded over and sealed with water, and crimped with a fork. When the pies are ready 2 tbsp of vegetable oil gets added to the baking pan and that goes in the oven to heat up for a couple of minutes. Meanwhile the pies are brushed with another tbsp of oil. They then go on the hot oiled pan, and are ready to cook. As you can see I’m also doing potato wedges: cut potatoes into wedges, spray tray, put on tray, spray potatoes, season with piri piri and salt. The pies (and potatoes) then go in the 200c oven for 25-30mins, turning half way through, until they’re well brown and crisp (which took 35 minutes for me). The pies then need to sit on a wire rack to finish cooking for 5-10 minutes, which should give the potatoes the extra 5-10 minutes in the oven they always need (and were still only just done…). Once the wedges had their extra time, it’s time to eat! 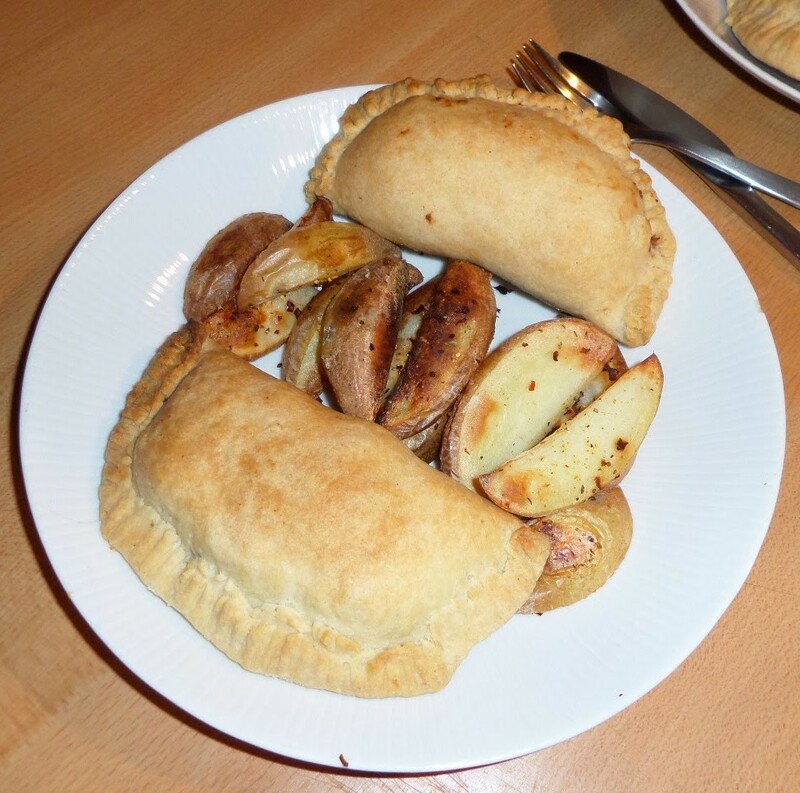 They taste great – the masa harina gives the pastry a taste that makes it clear that you’re not juts eating a normal pasty. Different and appetising. Worth running 10km for.